2 more beautiful photos I took of famous frescoes at Knossos in May 2012! 2 more beautiful photos I took of famous frescos at Knossos in May 2012! The simply stunning Griffin Fresco in the Throne Room of the Queen's Megaron. To my mind, this is one of the loveliest of all Minoan frescoes, if not one of the loveliest frescos in the entire history of art. I think it is. 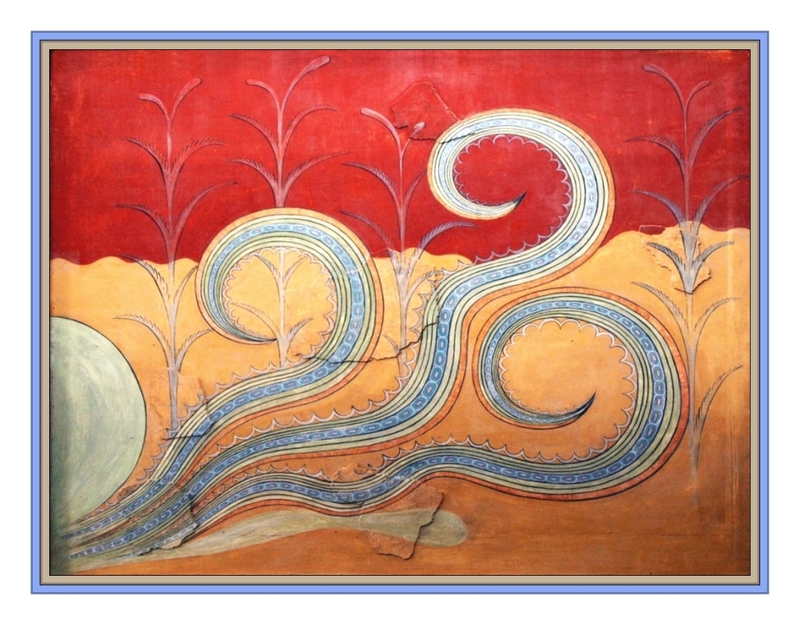 The Octopus Fresco, another amazing work of art. There is humour in this one, a trait found in more than just a few works of Minoan art and craftsmanship, as in pottery as well. 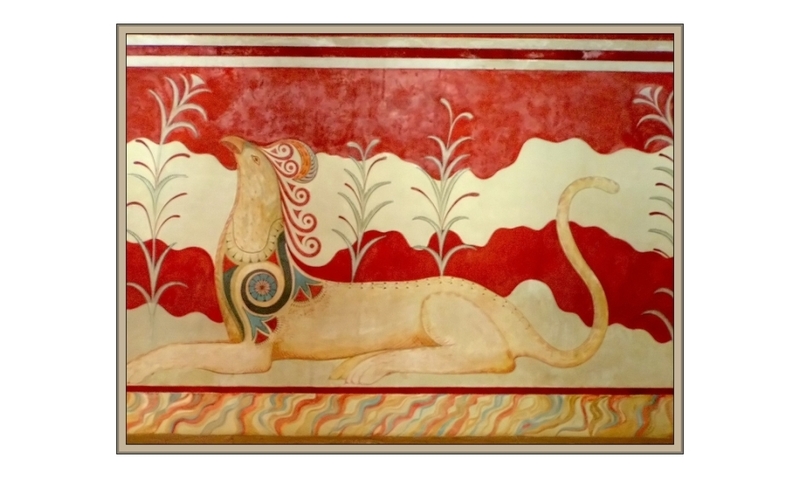 « 2 more beautiful photos I took of famous frescoes at Knossos in May 2012!